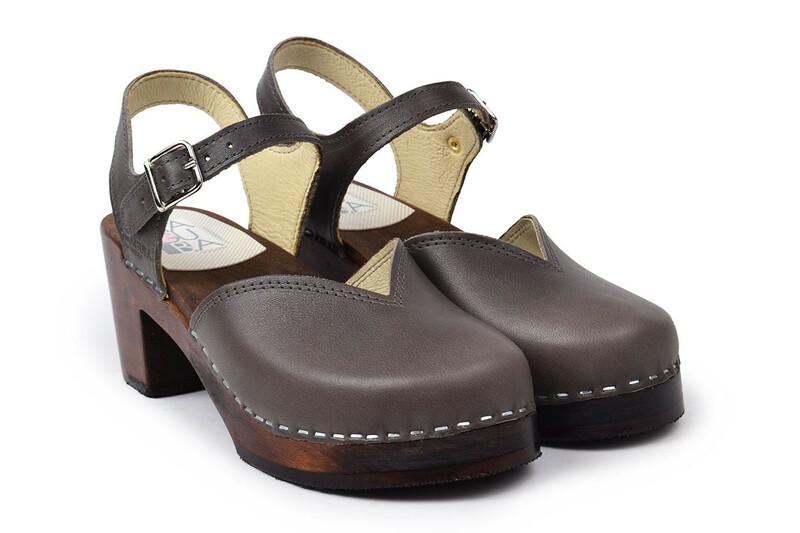 The Florence sandal is one of our most popular models, and it's been part of our collection for several years. Here in a grey upper, with contrast soft leather lining. 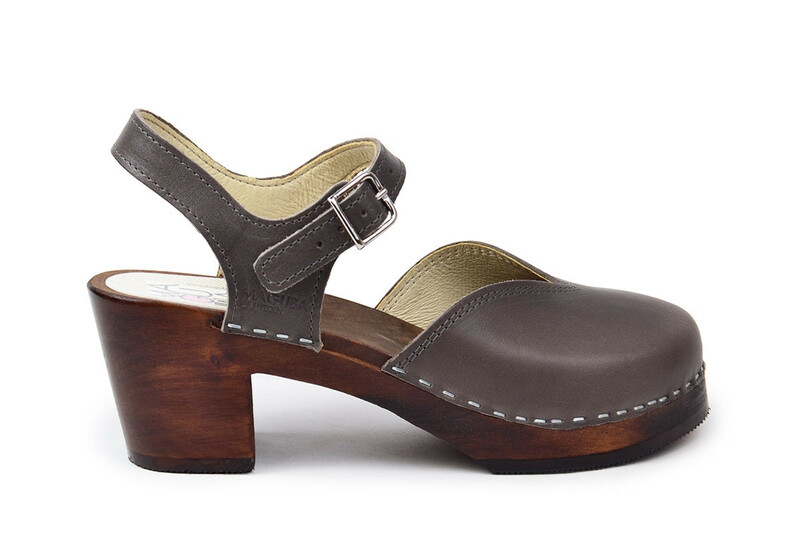 The upper is attached to a durable brown stained mid heel sole. 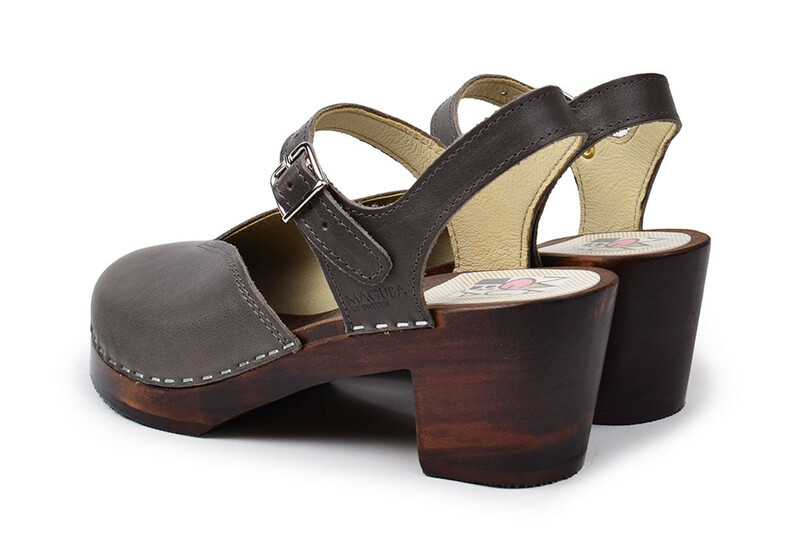 The design has closed toes and an adjustable ankle strap.